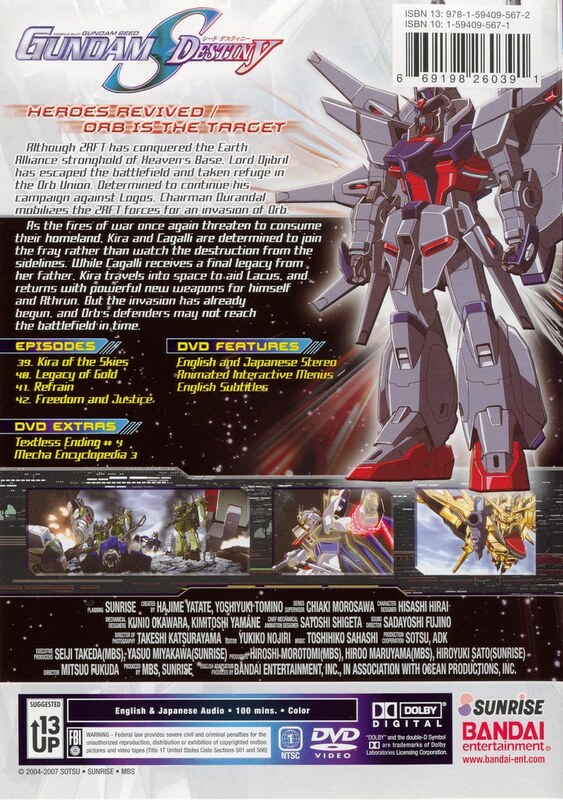 You are currently looking at a GUNDAM SEED DESTINY - VOL. 10 DVD (English & Japanese audio) In excellent like new condition 100% complete. Box has light wear. See pictures or contact for further details on condition. In the 10th volume of this series, which takes place in the cosmic era of the massive Gundam SEED universe, Lord Djibril has fled the conquered stronghold of Heaven's Base and hides out in the Orb Union. Consequently, Kira and Cagalli find themselves in a race to defend their homeland as ZAFT prepares to invade Orb.